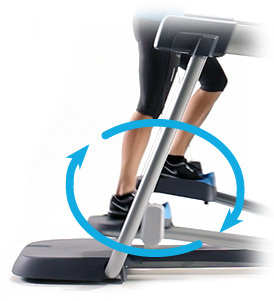 The Precor AMT 835 with Open Stride is the 3rd generation of Adaptive Motion Trainers from Precor and is the exact same unit as the commercial machines you'll find in fitness clubs worldwide. 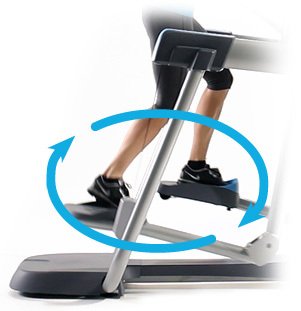 A machine as versatile as the human body and different from any other type of exercise machine, the award-winning Precor Adaptive Motion Trainer is designed to work your body, as well as your imagination. 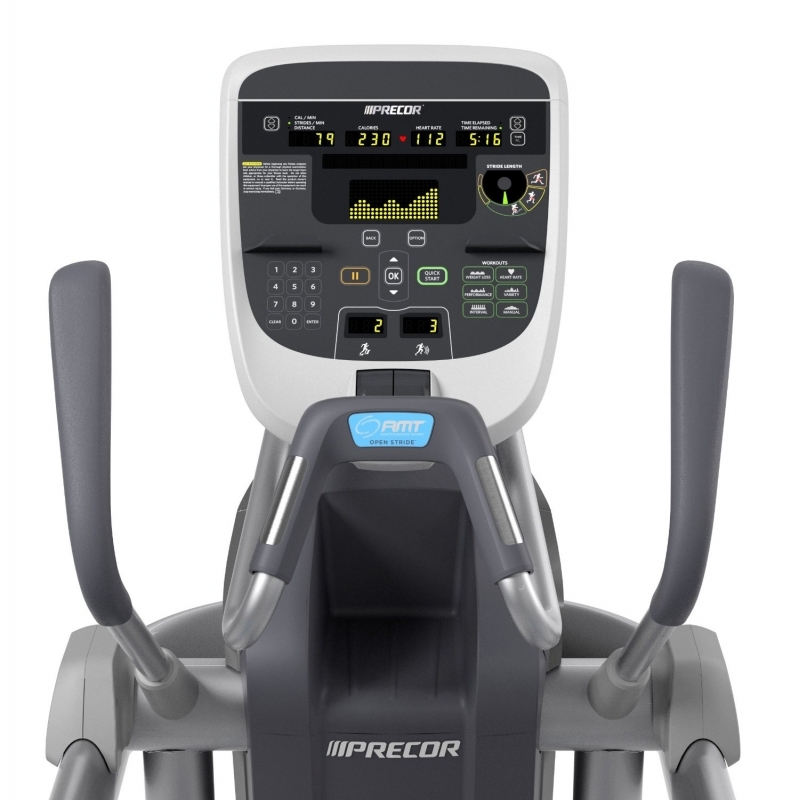 With the Precor AMT 835 you can go from short strides to long strides, walking to running, regular stair climber to deep lunges - all on-the-fly. The AMT 835 gives you the freedom to customize a challenging and completely unique workout every time. 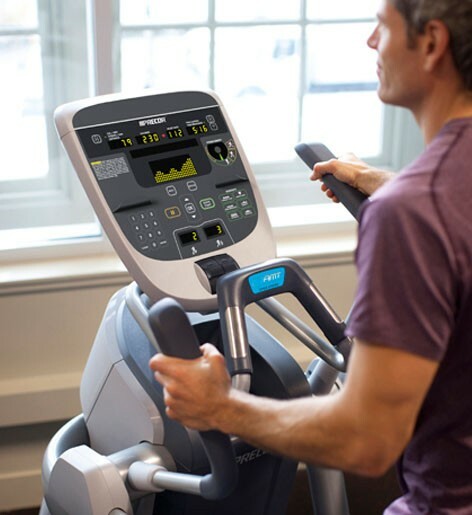 With the AMT 835 it's like getting a treadmill, bike and elliptical all in one piece of equipment. 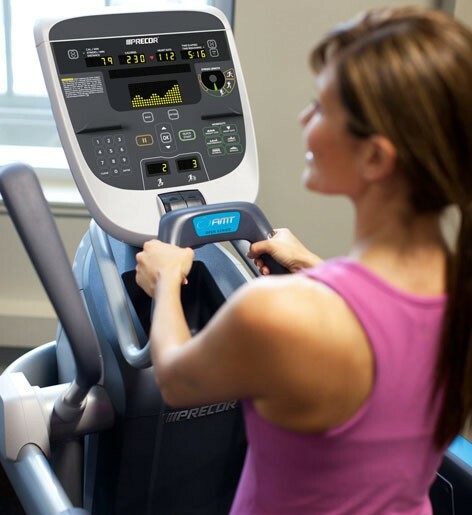 The AMT 835 delivers similar workouts to all 3 of these machines. 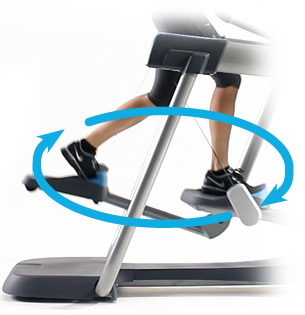 This amazing piece of equipment fully engages exercisers of all fitness levels with an infinite range of stride paths to create a uniquely effective low-impact workout, making every workout a personalized experience. 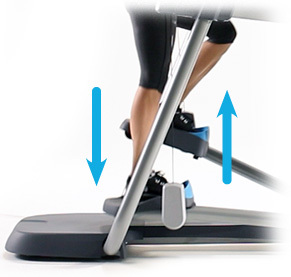 Open Stride lets you not only change the length of your stride but also the height, providing an infinite variety of motion paths. Go vertical and it’s a stepper. Increase resistance and it’s a climber. 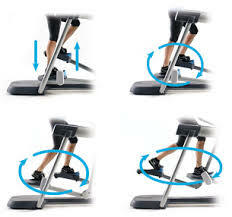 Then go more horizontal and walk, jog or sprint with a stride length that goes up to 36 inches (91 cm). Three distinct positions on the moving handlebars provide a comfortable fit for nearly every user. The rodeo grip has a heart rate sensor built-in that provides monitoring and a stable, comfortable position when focusing on the lower body. 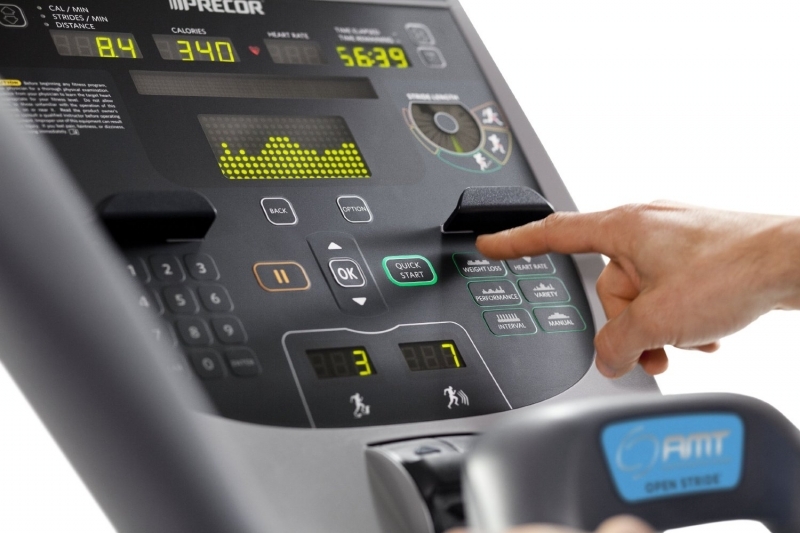 Trusted by fitness professionals, Precor makes innovative equipment that meets the most demanding needs. The AMT 835 is backed by a 10-year warranty on all parts. 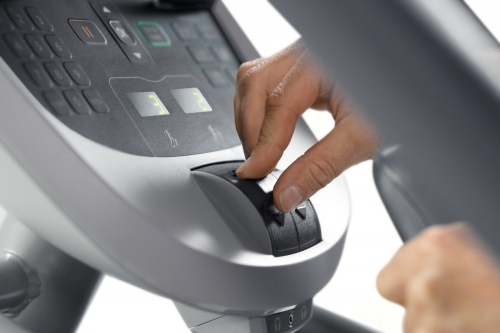 Call 1-800-875-9145 to speak with one of our fitness advisors with any quesitons you may have. 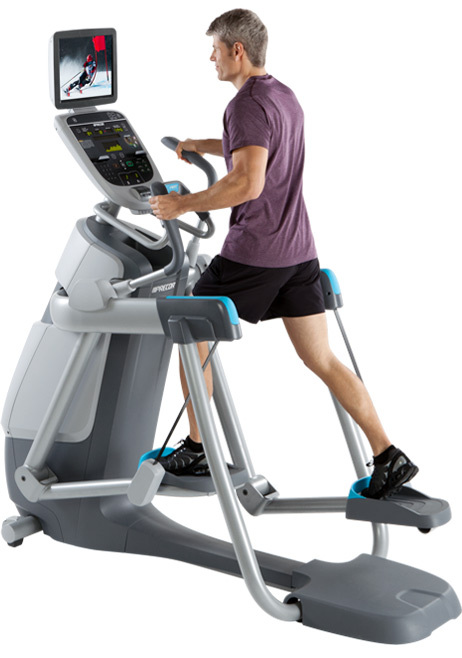 Go to FitnessZone.com today to order the incrediable Precor AMT 835 with Open Stride! 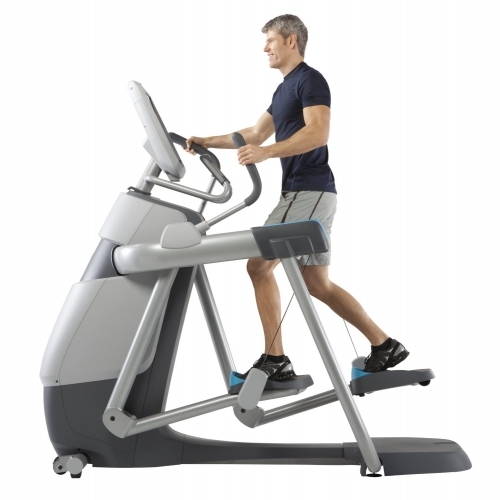 Order your Precor AMT 835 with Open Stride from FitnessZone.com today!